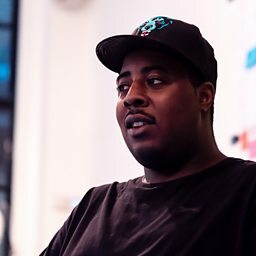 Digital Mystikz are a dubstep production duo (consisting of Mala and Coki – when the two started making music together as teenagers they were known as Malibu and Coke) from the South London suburb of Norwood. Along with Loefah and SGT Pokes, who make up the group ASBO (All Soundbwoy Out), they operate the DMZ record label and host the influential bimonthly nightclub DMZ, held at the Mass club complex in Brixton, London. BBC Radio 1 DJ John Peel was an early supporter of Digital Mystikz, eventually putting them in his annual 2004 top 50 list at number 29. They are among the scene's most famous producers. Their song "Anti War Dub" appeared in the 2006 film Children of Men, although it wasn't included in the soundtrack. In the summer of 2008, Mala was chosen to headline the night portion of the Sonar Festival in Barcelona. In April 2011, Mala travelled to Cuba with Gilles Peterson who was returning to Havana to produce the second instalment in the Havana Cultura series. While Peterson recorded new material with local musicians, Mala began work on a new album Mala in Cuba, which was released in September 2012.